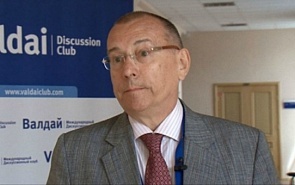 Ambassador Extraordinary and Plenipotentiary of The Russian Federation to the Republic of Korea (2005-2009), Vice-President of the Russian International Affairs Council. ﻿On April 24-25, a Russian-North Korean summit will be held in Vladivostok. This meeting is long overdue, especially given the fact that Kim Jong-un has had four meetings with Chinese President Xi Jinping, three with South Korean President Moon Jae-in and two with Donald Trump. The Korean crisis has two components. One is the North Korean nuclear and missile program. Another is the decades-long division of the Korean nation in two separate states. These issues are interrelated, but their influence on each other is ambiguous. Chung Eui-yong, Head of the National Security Office under the president of South Korea, said, while speaking to reporters in Washington, that president Trump had expressed his agreement to hold a meeting with North Korean leader Kim Jong-un until May. According to Valdai Club expert Gleb Ivashentsov, there are many obstacles for the meeting, and we have to wait for what the DPRK will say and how the US will behave before and in course of the negotiations. Does the appearance of Pyongyang's ability for a nuclear missile strike against Washington change something? In fact, nothing, except that the situation around Korea has entered a new round of tension.The reaction of President Trump to the current launch of Hwasong-15 was rather low-key. Unlike his speech in the United Nations on the complete destruction of the DPRK, he simply said that "we will take care of it". After the UN Security Council agreed on Monday to ratchet up sanctions against North Korea for its sixth nuclear test, Kim Jong Un has to prove to his nation that he will continue his programme anyway, former Russian ambassador to South Korea Gleb Ivashentsov told valdaiclub.com. The total losses of the United States and South Korea could reach almost a million troops, including up to 100,000 killed Americans. The total cost of the war with the DPRK was estimated at 100 billion dollars, and the amount of economic damage to South Korea - more than 1 trillion dollars. South Korea Elections: Spoiler Democracy or an Alternative Political Course? The Minjoo, an opposition democratic party, has won the parliamentary majority as a result of the South Korean elections for the first time in 16 years.